Eve 142 has lived her entire life in the domed city of New Eden, home to the only surviving humans after the War. Like all of the inhabitants of New Eden, Eve 142 is a clone. Together with the other clones, dubbed the Adams and the Eves, she leads a safe, predictable existence. However, Eve’s life changes when she causes a tragic accident to befall one of the Adams. As retribution, she and her counterpart, Adam 142, are banished from New Eden. At first, Eve 142 considers their punishment a death sentence because she grew up believing the world outside the dome was uninhabitable. She is wrong. 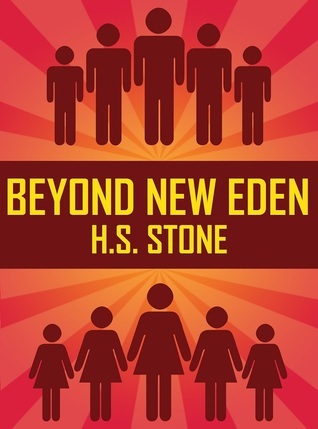 Forced to live in the Wastelands, Eve and Adam discover many new truths about the outside world and, more importantly, the truths about themselves. I'm a huge dystopian/post-apocalyptic fan. They are my favorite type of books by far. This was no exception. I read it from start to finish in less than 24 hours. Despite reading nearly every dystopian book I can get my hands on, this was original and much different from anything I've read before. New Eden is a domed society. It houses the Adams and the Eves - clones. Our two main characters are Eve 142 and Adam 142. Each year the oldest Eve/Adam couple die after living for 75 years, while a newborn couple are brought into the world. That's how it's always been. To start, Eve/Adam 142 have passive, peaceful temperaments, very little emotion, and do not question things. They're simply accepting. This lack of personality sets up the rest of the book as a contrast between life in the dome and outside the dome. At first it was a little jarring, but it's exactly what the story needs. Later on, we do see their personalities come out. They develop opinions and their emotional range widens. Eve/Adam 142 get banished from New Eden for six months and are forced to go live in what they have been taught is a barren wasteland after The War. They were also taught that they are the only humans left on the planet. The rest of the book is the journey Eve and Adam 142 embark on of survival, discovery, self-discovery, and emotional growth. When their banishment is over, will they return to New Eden? Can they go back to a peaceful society of acceptance with no questions? Overall, this was an original and exceptional read. The writing was impeccable and the story was fascinating. Oooo you keep posting reviews for books I haven't heard of!! This really does sound like an amazing concept. I'm rather intrigued. I'm adding this to my tbr list!